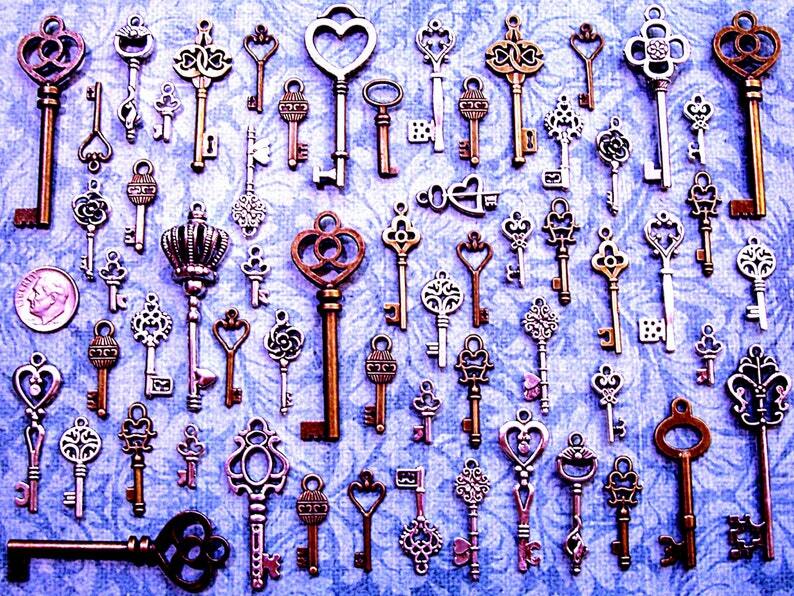 Great variety set of vintage / antique skeleton look key charms! Flower, heart and other themes! Perfect for crafts, scrap-booking, jewelry, wedding tags or place settings, collections, display - the uses are limited on by your imagination. Various sizes from 3/4" to 2 & 1/2" tall! Made of metal. 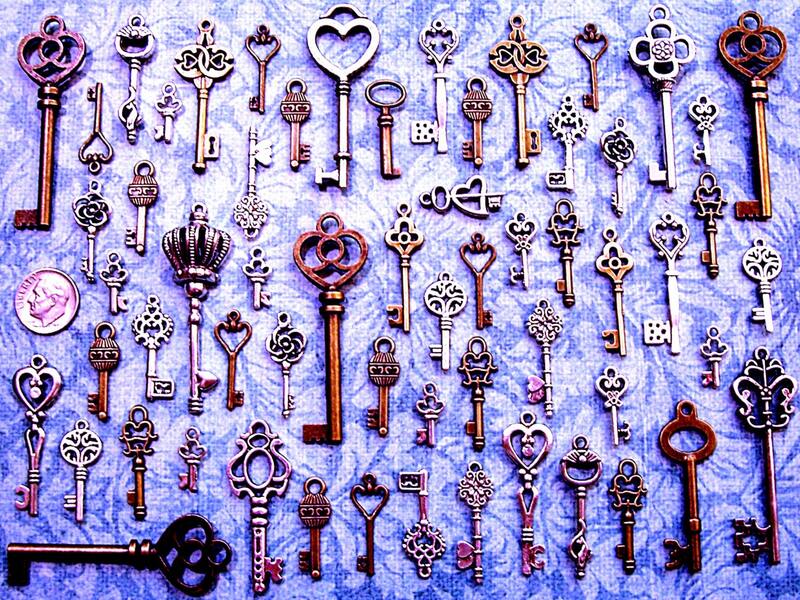 Most keys are double-sided, but a few, mostly the smaller ones, are flat-backed. Keep in mind these are reproductions, not actual working keys! Great delivery and lovely style, just not the size I needed. Really nice set of really interesting keys can’t wait to start making with them, and got here fast too.